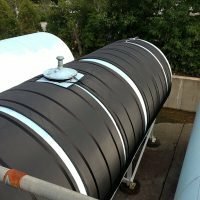 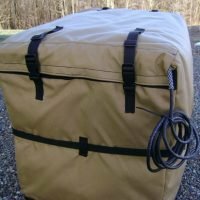 To keep the oil at operating temperature when the system is down, Ahlstrom Non Woven (a paper mill) in CT had us build these custom oil tank heater blankets. 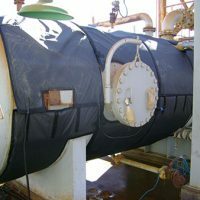 The tank heating jacket can be easily removed, but in this application remains in place and only turns on should the oil temperature go below the desired set point. 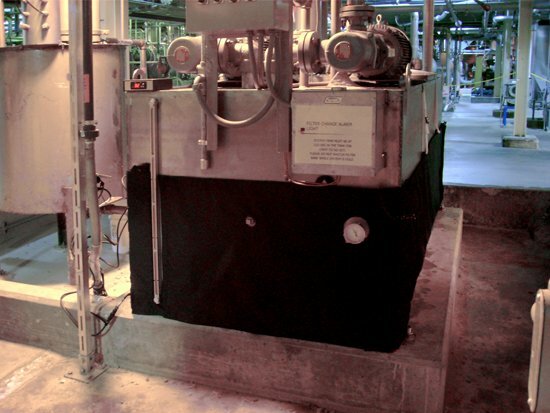 In contrast to immersion industrial heating elements which can not provide such even heating and can “coke” the oil, this storage tank heater is simple, durable and cost effective. 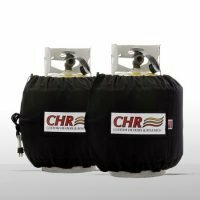 If you want to learn more about oil tank heater blankets, call us on 1-845-758-0700 or submit a custom tank heating system request form.